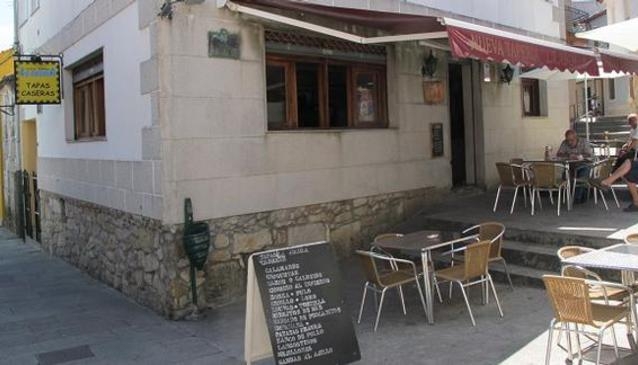 La Abuela is a popular restaurant/tapas bar locacted in the heart of the Old Town of Baiona. It's open every day and offers a set price menu from tuesdays to fridays for only €9 including coffee and dessert. On mondays a meal costs only €1!! La Abuela serves great food which is also great value for money. They also provide food to takeaway. The specialities include home made galician pasties, meat or stews,squid,octopus,home-made croquettes and spicey sausage. There are a range of home made deserts too. There is space inside to cater for 40 people with an outside terrace which can accomodate another 40 persons. The bar has two flatscreen televisions,one which is 60 inches wide.